Click to install our friendly plugin in your fashion design software of choice. Then simply upload your design and receive a 3D visualization you can share and discuss with your team. Once your sketch comes to life, you can take it to the next step. Virtuality.Fashion is committed to making virtual 3D prototyping as seamless as can be. For this reason, our unique solution easily integrates with common designer software such as Illustrator, CorelDRAW, InDesign and more, enabling designers to simply upload any file directly from their workstations without interrupting their daily workflow. Our intuitive interface also enables designers to freely communicate with the 3D artists using annotations on the actual virtual simulation – resulting in faster corrections and realistic 3D simulations more in line with the designer’s vision. With Virtuality.fashion, designers gain quick effortless access to 3D simulations like never before. Only Virtuality.fashion can achieve attractive 3D simulations without requiring 2D patterns to be submitted. Our team of top professionals is trained at “sculpting” models by simply viewing pictures or sketches. This saves ample time and resources as no 2D patterns need to be made for models that have not yet been approved. Another advantage is that our global team of experts is at your service nearly 24/7 and can assure best quality across a wider range of products. We can handle fashion accessories, footwear and more – compared to other solutions on the market which are limited to garments only. Once the designs are ready, the tech pack is simply uploaded to our online service. Depending on quantity, 3D samples will be ready for review within hours. Physical prototypes are great, but waste lots of time and money. Our virtual 3D prototypes allow you to check the fit and make alterations on the spot. Do away with endless sewing iterations and turn processes that take weeks into hours. Virtuality.fashion has successfully created a virtual workflow that mirrors real-life product development process. Fashion designers can now simply upload almost any file format, including hand sketches, pictures and patterns, to receive a virtual 3D prototype within hours. In addition, our solution cuts resources and logistics expenses since there since there is no need to sew or ship a single prototype. The next step is full color simulation which provides designers with a virtual 3D prototype that looks and feels like a physical prototype. As in real life, the 3D prototype includes sufficient details to evaluate fit, drape and proof of concept. This allows extremely fast turnaround of prototypes. Once the 3D virtual prototype is approved, our unique solution has enough details to quickly transform it into a full hi res 3D simulation. Our friendly interface also enables product development teams to request modifications on the fly in order to see how to best fit the virtual prototype into their concept. In such a matter, the product can be dropped without investing unnecessary time and money developing a 2D pattern, or simply approved for hi res 3D simulation for final visualization. Featuring a full range of your approved designs in complete color, fabric and size combinations, our hi res 3D fashion simulations will help you get it right faster – from pattern design, to style and model. Save on costly physical samples and impress your buyers before manufacturing even begins. Much like in common industry practice, Virtuality.fashion delivers realistic samples. 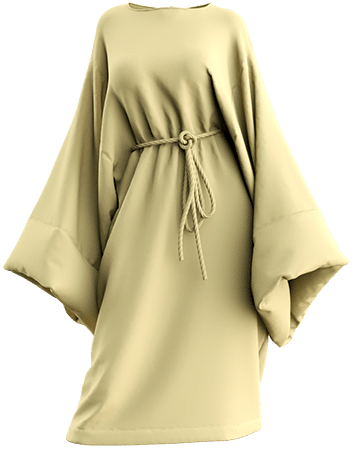 The only difference is that instead of having to sew and correct expensive raw materials, not to mention incurring high shipping expenses, we offer true-life 3D visualizations of the styles down to the smallest detail, including trim, accessories and more. Using our unique solution, your product development team will enjoy access to a wealth of color-fabric combinations. Modification and adjustments can be easily performed in order to better finetune the 3D simulations to the design concept. Our 3D simulations serve as additional visual input for 2D pattern makers, providing them with an idea of the pattern without needing to see a physical prototype – and saving much money and frustration along the way. Make new product development efficient with our collaborative platform designed especially for the fast fashion industry workflow. Share any new model internally, discuss and receive immediate feedback, or present your branded catalog to potential buyers – for better planning and selling before manufacturing even begins. Our friendly Virtual Showroom is all about simplified sharing and collaborating. It enables you to easily share models and collections with potential buyers or internally. Feedback is immediate and discussions are streamlined to make the new product development process much more efficient, effective and rapid. In addition, by sharing your branded online catalog with potential buyers in advance, planning and production improve across the board. Finally, all your collections can be shared virtually and production can be better planned. 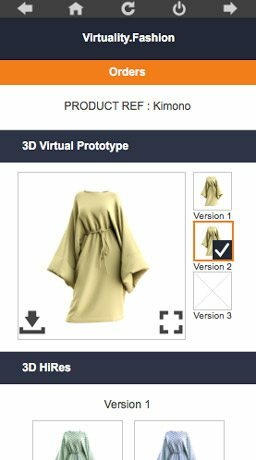 To facilitate your transition to the virtual world of fashion, we also offer complementary services for 2D pattern making, grading, and more. Our 3D simulations are so true-to-life, they serve as visual input for 2D pattern makers. Together with a technical file, our 3D simulations reduce errors while increasing the chance of getting the 2D pattern right in the first attempt. 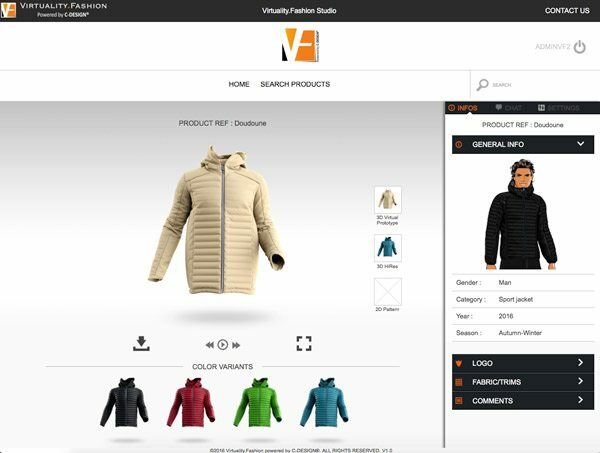 The Virtuality.fashion process simply makes more sense and has been proven by numerous clients to reduce product development time from 4 to 5 months to as short as 3 to 4 weeks.